Mortgage is а type of loans, where the loan granted for the purchase of certain real property. The main demand to get this kind of loan is conclusion of the contract, which documentary approves status of participants. Contract is produced by selected bank or financial institution. The main demand’s of the contract could be in a large variety. Key among them is timely contribution to the monthly payment and down payment, which sometimes riches even up to 50% of the loan amount. Loan period is also rather peculiar: it ranges from 20 to 40 years, with loan rate, which usually exceeds 20% of the loaned money. So, almost a quarter of the money will be paid to the bank in exception to the first installment. In the most of cases, bank reserves the opportunity to review contract and increase the monthly payment. So if calculate the cost of the cheapest apartments on the outskirts of Kyiv, the monthly payment will amount to more than 10 thousand. The monthly salary in Ukraine is a bite higher than one thousand hryvnia. So, mortgage doesn’t look very possible for main mass of people. The man who enters into a contract with the bank, starts a real Russian roulette game. First of all, the banking system in our country is not stable. This is particularly noticeable when you look at a crazy amount of banks that went broke in recent months. Such a situation affects not only depositors, but a borrowers of large sums thou. In the case of the bank collapse, people can be forced to pay the whole balance of the mortgage, and if payment is not complete, bank may take away the property. This situation badly influences on the psychological condition of the borrowers. They become anxious and insecure in themselves and their future. If fears are coming true, persistent anxious may be developed in strong depression that often ends in suicide. At second, the job. which should bring a stable income in the next 20 years, becomes incredibly valuable. Saving jobs becomes so important, that workers are often forced to endure inhuman conditions and humiliation of dignity. The problem of earnings and material needs start to dominate over all others needs and the only important question, that stands over is a enrichment for the payment of the loan. This significantly affects on the internal family relationships. So, people who had previously been friendly family, became a roommate in shared apartment. But from the other side of view, nowadays, the mortgage is the only opportunity for young families to receive a separate apartment. Collect such a large amount is practically impossible, and life with relatives can become unbearable because of numerous conflicts. The problem raises very serious, especially in those circumstances, if the relatives, who became a roommate to a young family, are negative attitude to this choice of a couple. A desire to save relationships, often make people to conclude a mortgage agreement with the bank. Usually, emotions in such a case overshadow common sense of the serious document, so details are not very hard studied. Later, in a few months when people face first serious financial problems, they start to study the contract and consult with lawyers, but to change something is too late. As a conclusion, we can mention, that the question of the moral and psychological aspect of the mortgage is rather ambiguous. The concept of mortgages just recently appeared in the Ukrainian consciousness. 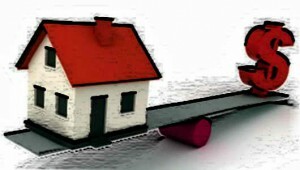 The only law of Ukraine, which regulating the mortgage market, was created in 2003 and since then has not been changed. The law contains many gaps, which allows for a large number unpunished fraud in this area. People, who fall into such a difficult situation, do not only find themselves in a difficult financial situation but in a hard psychologically traumatic situation too. Often people, who loose there housing, are loosing the meaning of life with it. In situations of great financial crisis and devaluation of the national currency, the most these vulnerable banking entities suffer at most. Any major disruption invariably affect on the financial situation in the country and people, who pay for mortgage. It influences on the level of anxiety in such people, and therefore self-esteem and overall emotional state. Mortgage is mostly negative impact on the psychological and moral state of person. It contains many dangers and gaps that negatively affect on the level of anxiety of human and status of internal family relationships. This entry was posted in Ethical and tagged moral, Mortgage on 15/09/2017 by Mary.